They—and the communities into which they’re placed—thrive. Since President Trump issued his “Muslim ban” executive order, the country has been rocked by a cascade of political chaos, and now a critical legal battle that could soon reach the Supreme Court. But another, less visible crisis is unfolding in communities around the country, where global refugee diasporas have put down roots. 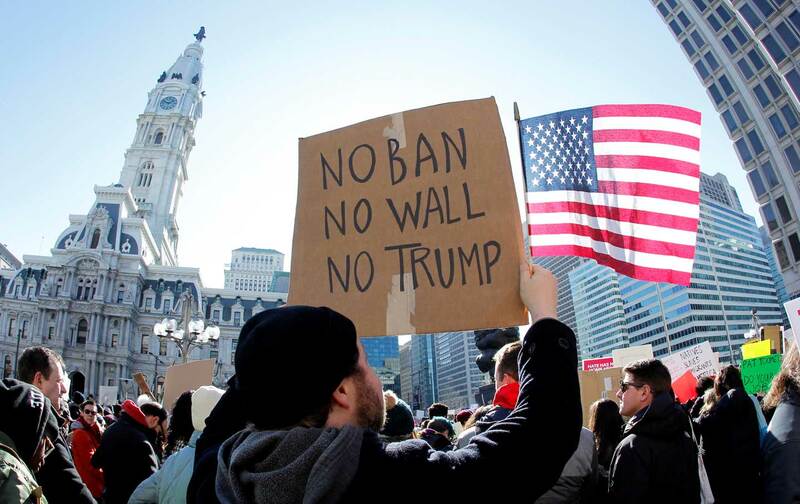 For those set to arrive from the seven majority-Muslim nations targeted by the ban, Trump’s blatantly discriminatory decree represents an overarching challenge surrounding his election: how to bridge the divides of ideology and cultural difference in an insecure world. While the various court challenges to the ban move ahead, refugee lives hang in the balance in Lancaster, Pennsylvania. In this city, hundreds of migrants have resettled after escaping war and persecution around the world. And as with many other resettlement communities nationwide, many see a reflection of their own fates in the new refugees who were due to arrive before the ban abruptly blocked their path. Mustafa Nuur, a local advocate for the Somali community, has watched warily as the border he crossed as a refugee two years ago now hovers half-open. “Singling out people like that, it goes against what I’m sure every American knows this country stands for, which is a country for immigrants and for all people,” he says. Since resettling in Pennsylania, Nuur has journeyed a world away from his childhood in exile. He spent part of his youth warehoused in the sprawling Dadaab refugee camp where 260,000 wait in limbo for a permanent home—before migrating to Nairobi, where he attended a volunteer-run ad hoc migrant school and sold bottled water on the street to support his family. While Nuur has advised fellow refugees to stay vigilant, the social-service organization that has supported his community over the years, Church World Service (CWS), is scrambling to resume the processing of its scheduled arrivals, including refugees who are not linked to the targeted Muslim-majority countries. For a place that prides itself on exemplifying an American tradition of sanctuary, the ban represents the profound loss of a social investment that has brought cultural vibrancy to the wider community. “At a time when we’re in this grave global crisis, now the US has just shut its doors,” says CWS Community Resources Director Stephanie Gromek, who works with federal officials to manage resettlement cases. The agency resettled 286 refugees in 2015, mostly from Asia, Africa, and the Middle East, including many from the group of “banned” countries. About 40 percent are children. Trump’s executive orders have no historical precedent, but do continue a pernicious legacy of refugee and humanitarian policies’ being entangled with geopolitics. Prior to World War II, Jews fleeing from Nazi Europe were sent back to their deaths after being refused humanitarian admission by US authorities. After the war, which saw the establishment of humanitarian conventions protecting the right of asylum for refugees suffering war and persecution, the United States carefully curated its admissions, allowing in, for example, Hungarian refugees of Stalin’s crackdown on dissidents, while imposing bans on suspected Communists, or admitting Cuban boat people while shutting out Haitians fleeing poverty and persecution. Now that the hard right has captured the White House, Trump has shown himself willing to swing the gates shut even more brazenly. And in another historical turn, the global signal from the White House is emboldening right-wing insurgent movements across Europe, which are similarly blocking asylum seekers in the name of “national security,” and undertaking parallel crackdowns on undocumented migrants within their borders.